For six weeks, the 64-year-old Malaysian-born specialist in infectious diseases treated victims of the deadly epidemic sweeping West Africa, where nearly 10,000 people have died from the virus (4,162 of them in Liberia) and 24,247 cases have been reported. 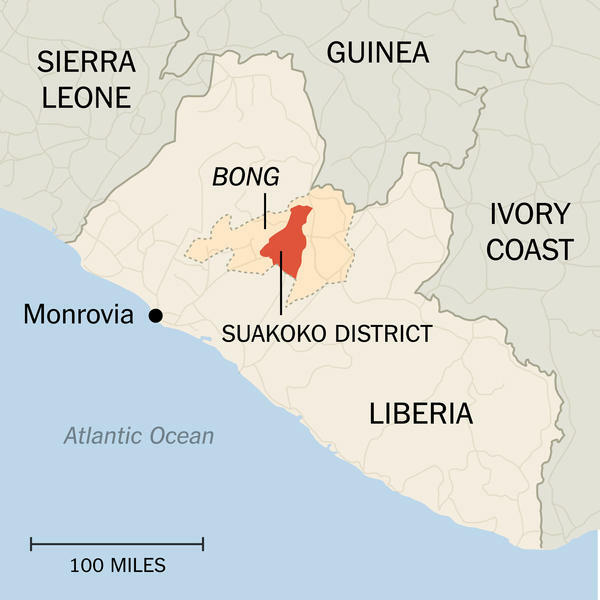 Tomorrow, I head to Bong, in Liberia, to volunteer with International Medical Corps (IMC), right on the heel of a second Ebola-infected patient in the US, this time a nurse who took care of [Thomas] Duncan, the first Ebola patient in the US. Daily news of the Ebola outbreak is all over the media. The human toll is difficult to comprehend. After years of being a director of infection control and hospital epidemiologist, and of volunteering in Africa, I knew deep in my heart that I could not sit back. I took a three-day CDC Ebola Training course, at the Department of Homeland Security, along with 35 other healthcare personnel. 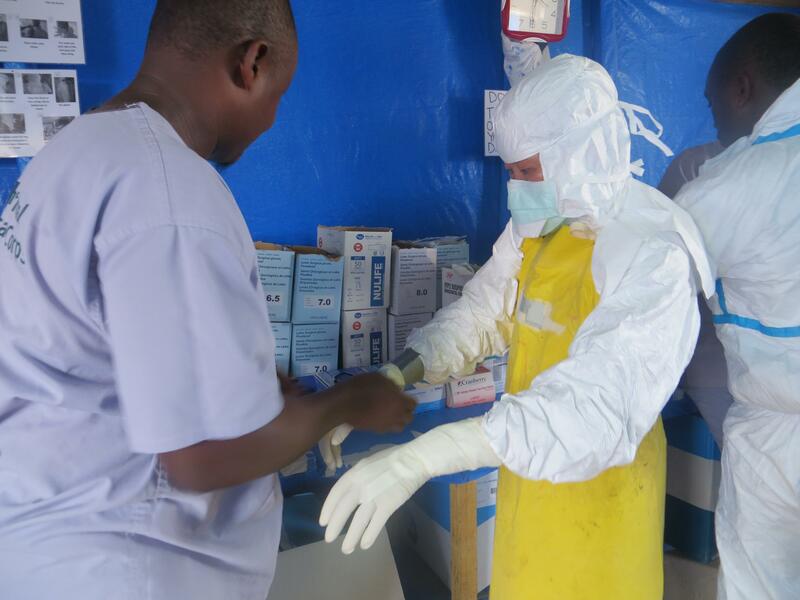 Donning the full personal protective equipment (PPE), we began to have some sense of what it would be like to work in an ETU [Ebola treatment unit]. The worst day was our last – [trainers simulated temperatures of] 89 degrees F, but it will be much worse in Liberia because of the humidity. This was also the day Mr Duncan died from Ebola. Am I afraid of contracting Ebola? Sure, I am human just like everyone else. 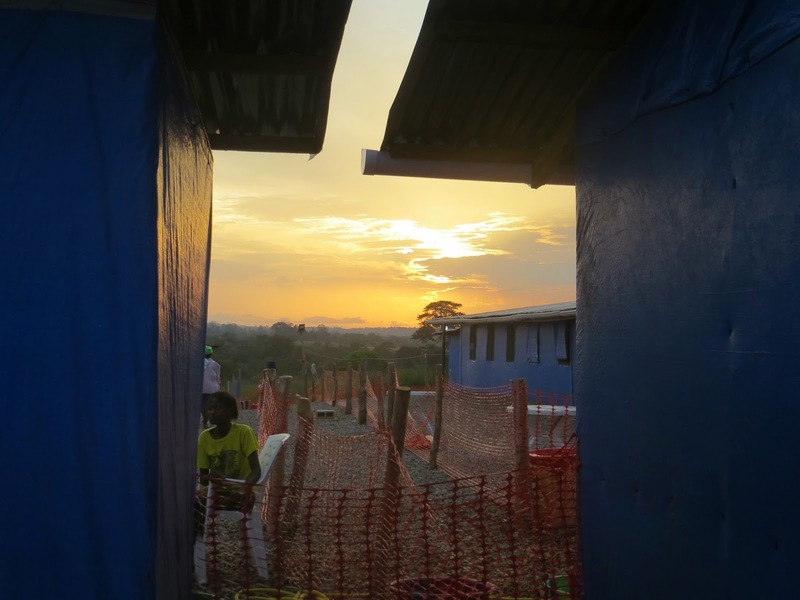 To date, over 400 healthcare workers have contracted Ebola and over half of them have died. But I cannot sit back and watch the death toll rise. If not for the tediously lengthy process of finding an NGO to volunteer with, I would have been there a long while ago. Kwan dons her protective clothing. After a few minutes of driving through groves of rubber trees, and along a winding road, blue-tarped buildings appeared atop a small hill surrounded by green jungle with ominous rain clouds in the background. Somewhere close by is an old leper colony. In the darkened evening sky, we turned into a red-earthed dirt road. 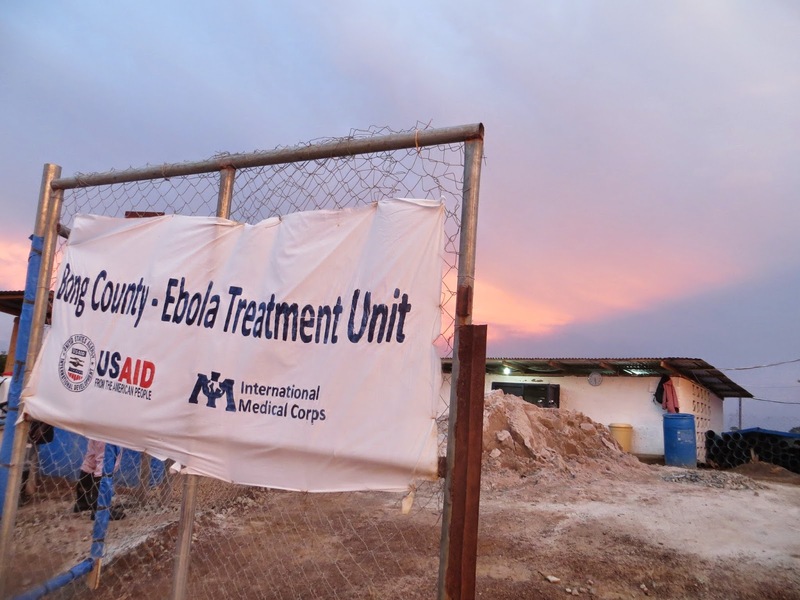 A sign marked the Ebola Treatment Unit of Bong County, funded by Save the Children and managed by IMC and USAID. A crew in their PPE was spraying down an ambulance which had just delivered a sick patient. In the evening light, they looked surreal. We began work at 6.45am. There were 33 patients, 15 confirmed and 18 suspects. This is a 52-bed ETU, just opened in mid-September. The sequence of donning the PPE is: first a pair of surgical gloves then non-sterile gloves, space suit, N-95 mask, hood, apron, goggles and lastly the third pair of gloves that are duct-taped to the gown. This could take about 20 minutes. The doffing procedure, later on, starts with the sprayer spraying our suit and gloves with 0.5% chorine (each step is interrupted with handwashing with chorine), then the third pair of gloves come off after the duct-tape is removed, followed by the apron, goggles, hood, duct-tape, suit, N-95 mask, and the last two pairs of gloves. Then it’s handwashing in 0.5% chlorine, and rinsing with water. During doffing, there were two instances which caused me some concern [that she had been exposed to Ebola]: while peeling off one layer of my gloves with my goggles already off my face, I felt drops of fluid fly into my eye and when the sprayer sprayed chlorine onto my PPE, wetness seeped into my scrubs. True breaches or not, I have to live with anxiety that understandably lurks at the back of my mind. Daily, death visits the ETU with unfettered tenacity. Winner, a 6-year-old girl, tested positive and she was separated from her mother and sister and was being cared for by Bendu, a recovering Ebola patient [people cannot catch the disease for a second time] in the ETU. During my training as an infectious disease doctor, I had read about viral hemorrhagic fevers: Ebola, Marburg and Lassa, Ebola being the deadliest. I thought that since the viruses most often caused outbreaks in Africa, it would be highly unlikely that I would ever see a case of Ebola infection in my lifetime. I guess I was dead wrong. 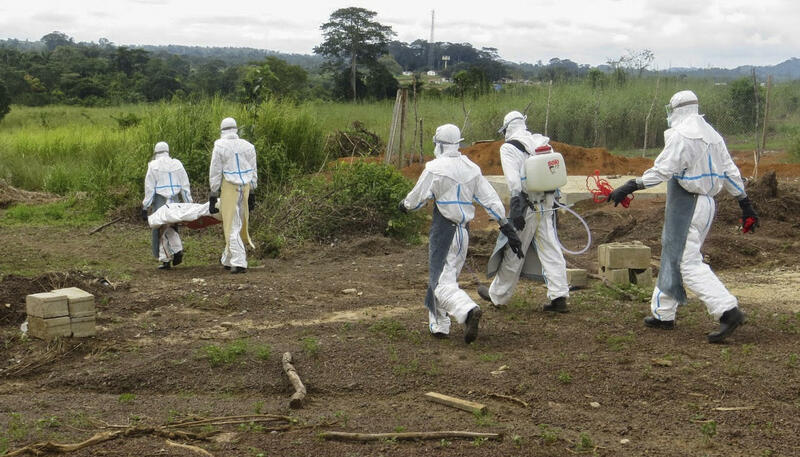 A body is carried to the Ebola graveyard. Two more patients died overnight. 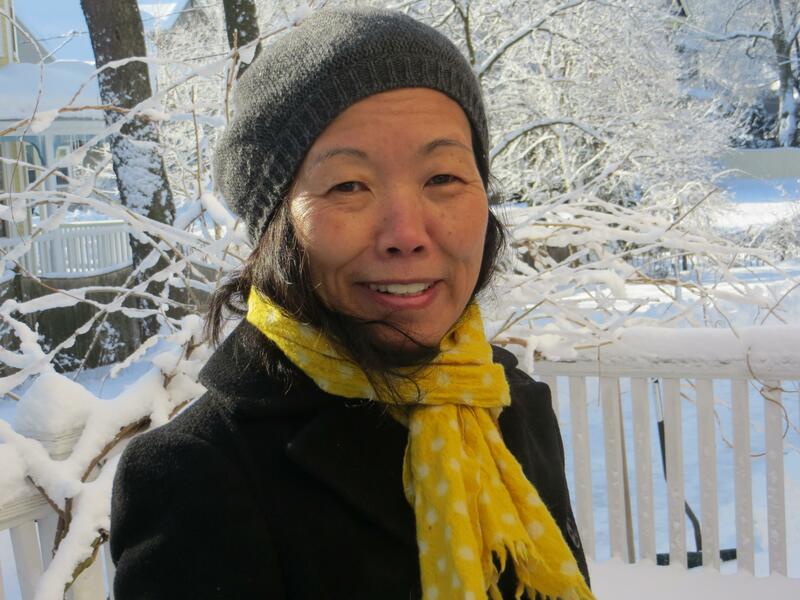 Annie, 52, who roomed with her 22-year-old daughter, passed away. She only manifested weakness, besides vomiting. Her daughter, Nuwah, is understandably depressed. Kumba, a 40-year-old traditional mid-wife, robust and heavy, is significantly weakened by her infection and bloody diarrhea. Annie was buried this afternoon. Winner continues with high fever. She is also bleeding from her IV site. One can almost predict which patients will not do well. The ones with bleeding almost always fail to triumph over the infection. 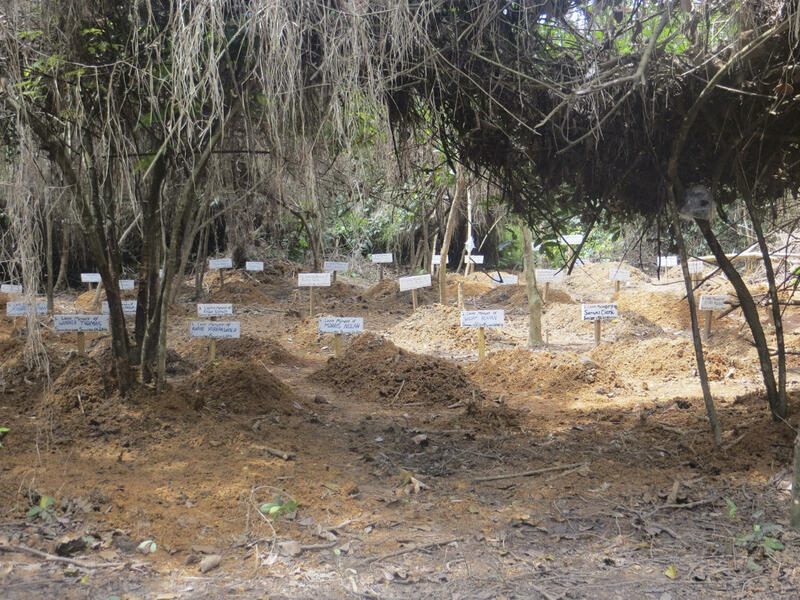 Winner and Zonnah finally succumbed to Ebola and they were both buried this morning. Winner was buried under a canopy of overhanging bushes creating a sheltered area for her. May they rest in peace. There are now 42 patients buried in the cemetery. Bendu’s Ebola test finally became negative after three weeks of not being sick; she screamed that she was free from Ebola and danced with abandonment, having been anticipating such a day for a while. The ambulance brought in four patients at the end of that day, one of them died en route. The nationals who choose this line of work have a great deal of courage. Some live away from home because they are being shunned by their own. They are pariahs in their own country. Early this morning, Alfred, who is the sickest kid in the ward, managed to wander into the low-risk zone, where we [workers] normally congregate, disoriented and confused. He was barefoot and walked on the gravelled compound like a zombie. Everyone stayed as far away as possible while a nurse went quickly to don a PPE. He was so weak that he slowly slumped to the ground, first on all fours and then in slow motion he slid down and lay on the ground on his side. It was such a heartbreaking scene. He was finally taken back to his room. All the while a psychosocial nurse led a devotional in front of a group of patients, most of whom looked tired and worn out. A rare day off. 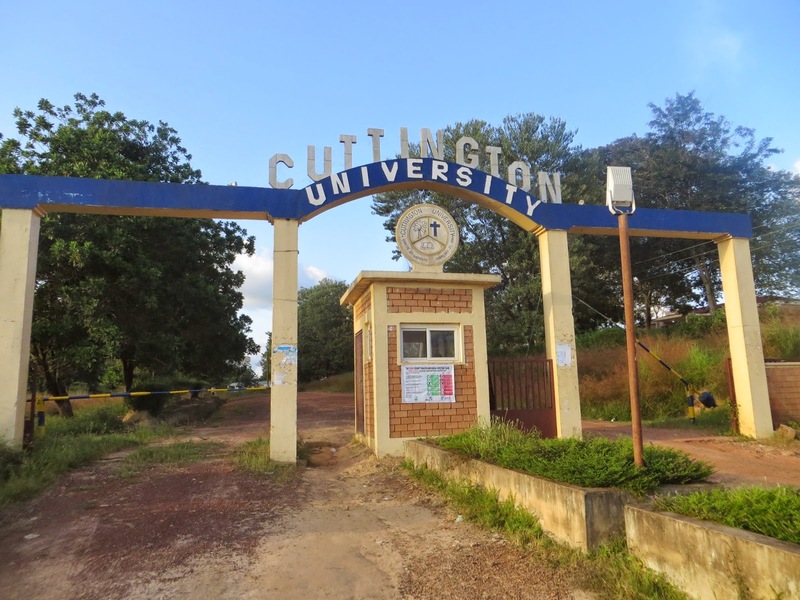 We live on the campus of Cuttington University, which has been emptied of students because of the Ebola outbreak. During my first week, I lived with the nationals in Rally Hall Dormitory, in a room with three bunk beds. All the closets had broken shelves save one. There was no running water, the toilets did not flush, and only a few showers worked. When some expats left and freed up some housing space, the Kenyan nurse and I were moved into one of the guest houses, sharing a bedroom. Yesterday, the long-awaited departure of Naomi and her daughter, Josephine, from the ETU finally took place, free of the infection at last. 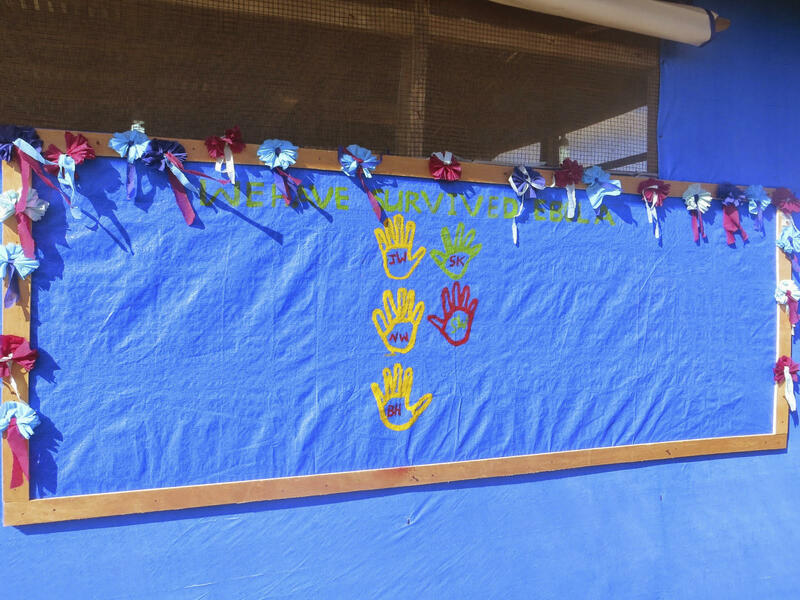 A survival wall is now set up, where the patients paint their hands and write their initials as they leave. A small triumph. More deaths today. Almost 90 per cent of the patients in the Confirmed Ward now are from a single village. Pie died while her husband remains sick in the Confirmed Ward. In the mid-afternoon, I walked outside the ETU and took the forest’s winding path to the cemetery. The grave diggers are off on Sunday. All was quiet save chirpings from a few birds. Since I last visited, 20 more grave markers have been placed. Now there are about 60. Someone called out from the ETU to say that pregnant Watta just aborted. We found the baby on the ground next to the fence, cord coiled loosely around its neck, placenta attached. The baby was crying and breathing well after such a rude entry into the world. We found a shoe string to tie the cord. By then a midwife had donned a PPE and came in wearing heavy duty gloves, which decreased her dexterity, to tie knots on the shoe string before she finally cut the cord. The left side of the baby’s face was covered with small pieces of gravel. It was a baby boy. He was just about the length of three of my palms and was as light as a feather. It is quite likely that the premature birth was caused by the Ebola infection. My roommate came home after her night shift reporting that when she saw the baby, she could not believe that he was so pink. She gave the baby dextrose and he took about three milliliters. In the best of times, in her opinion, he would have lived if placed in an incubator and given a continuous dextrose drip. But no one would take the baby because of the possibility of Ebola. When she made rounds again in the early morning, the baby was still alive. This miracle fought hard and lived for one day; my roommate did not think he would live much longer without nutrition and warmth. She was distraught that the mother, Watta, did not show interest in the baby, which was also my impression yesterday when I found her already clean and eating breakfast while her baby was lying in the dirt next to the outdoor shower, cold and uncovered. The one-day-old baby [now deceased] tested positive for Ebola. The cord blood was also positive but the placenta was indeterminate. The Confirmed Ward is full, with 31 patients; in fact, a few more beds were squeezed into some of the bigger rooms making it difficult and somewhat hazardous for us to move around. There are now 44 patients, 13 in the Suspected Ward and 31 in the Confirmed Ward. Since the last time I came to the cemetery, almost two weeks ago, the number of graves has increased to more than 80. There are only one-and-a-half unused graves dug, the grave diggers are barely keeping up with the pace of death. I am winding down my time here now. How does one cope with this everyday tragedy? In the medical field, we are often taught to distance ourselves from our patients so we will not be personally affected when they are approaching death. But here in Bong it is hard to keep that distance. Saying goodbye to the ETU was a little difficult but the time has come to leave and go home and have a good rest. On my way out of the ETU, while travelling in the IMC cruiser this morning, I heard someone call out, “Kwan Kew”. I did not catch a glimpse of the person but I realised that I had been here long enough now for people to know my name. Indeed, the nationals are so great at pronouncing my name, with such confidence, it is rather refreshing. 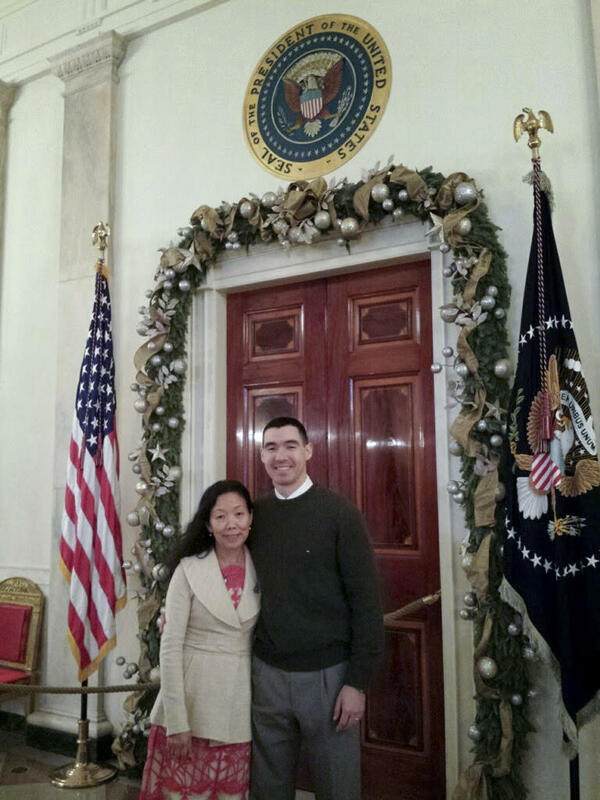 At the White House with her son, Tim. Although everyone seems to commend me on my volunteering, however you slice it, homecoming has been somewhat intrusive and not altogether welcoming. The only people/creature who have unconditionally accepted me are my family and my kitten, Grisela. Twice today I reached out involuntarily to shake hands [with someone] only remembering to withdraw in mid-stream. In Bong, we devised an Ebola hug: we pretended to hug without really hugging. The only persons we could touch were our patients but this was only through layers of protective clothing and gloves. So it was a wonderful change to receive a real hug [from her family]. Next week I am going to Sierra Leone to volunteer in the Ebola outbreak. Shortly after returning from Liberia, during my quarantine in December, I received a message from IMC to ask me for a possible re-deployment. I knew that I would go back again … but at the time of the call, I was not ready to do so right away as the sad memories of my Ebola stint were still raw and painful. Why go a second time? Didn’t I count myself lucky to escape catching Ebola the first time? I have been asked these questions. In the ETU, loneliness is pervasive and palpable; children are often hospitalised alone, away from their parents, some are made orphans, many patients suffer excruciating pain, and struggle with their fear of dying and worst, dying alone. My presence might not make a dent in the Ebola [death toll], but it eases the aches in the lives of the few I touch. Every day I am there will make a difference in someone’s life. “I’m from a very, very poor family,” says Kwan Kew Lai, of her upbringing in Penang, Malaysia, via a Skype call from the Ebola treatment centre in Sierra Leone, where she is currently based. At the age of 18, Kwan left. She won a scholarship to attend Wellesley College, in Massachusetts, the United States, then studied dentistry at Harvard University, before switching to medicine. Ten years ago, Kwan – who lives in Boston with her husband, a law professor – embarked on her first overseas assignment, to Indonesia, in the wake of the 2004 tsunami. She has since volunteered her services during the Haitian cholera outbreak of 2010, provided medical relief during the conflict in Libya and treated Vietnamese HIV and Aids patients. When Kwan turned her attention towards Africa’s Ebola sufferers, her three grown-up children were upset but gave her their blessing. Her husband, on the other hand, was relieved; the decision scuppered her plans to volunteer in Islamic State ravaged Iraq. 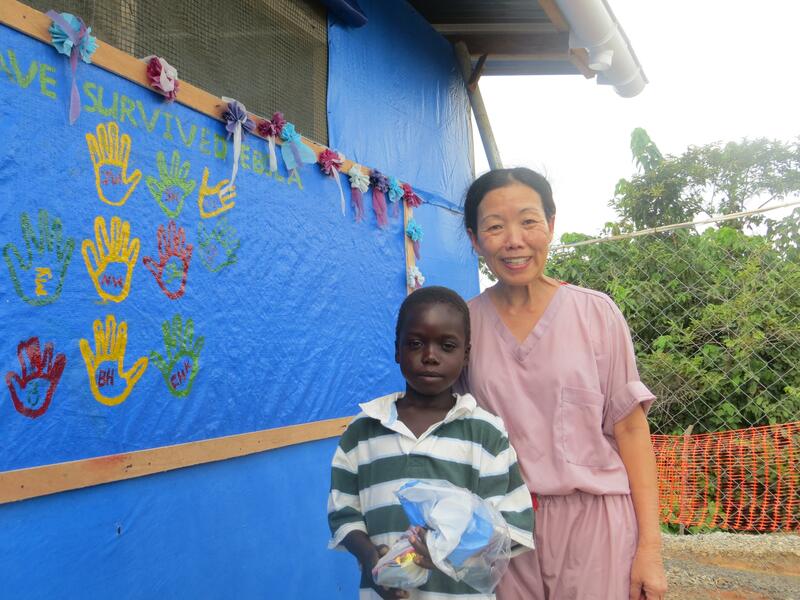 Now in her second six-week Ebola relief stint, Kwan says the disease’s hold on Sierra Leone is slowing. “We have 52 beds here, but eight patients,” she says. “The case numbers are decreasing but transmission in villages is still high. ← Why Blurred Lines copyright case was about cash, not artistic theft. The history of past infringements.